Giorgia’s passion in development and working for children’s rights has brought her from her home country of Italy to Kenya to focus on the needs of street children. She has worked to develop and fundraise for the KIKORA project and she is now implementing the project as the project manager. 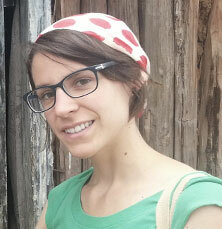 With a Bachelor’s degree in Mathematics and a Masters in Local Development from Padova University in Italy, she also has a variety of experiences abroad, including an exchange programme in the Netherlands, and an internship in Nyahururu at St. Martin CSA where conducted research for her thesis, which focused on street children in Kenya. 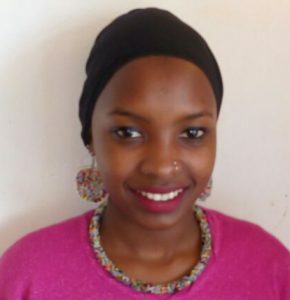 Faiza is a young student at Laikipia University pursuing a Bachelor in Education. She joined Kikora after finishing highschool as a volunteer, with time she took on the role of youth officer and currently she also follows many administrative tasks. She is passionate about working with vulnerable kids to change their life and help them be better people in the society of tomorrow. Raphaela is a young and dynamic woman, mother of a 8-years old girl, grown up in Maralal town; she works as a youth officer at Kikora children centre. She has always been passionate about working with children especially the neglected ones.She wishes to contribute to change the life of every child in Kikora to help them build a respectable future. Mathew is an undergraduate at Laikipia Univarsity, pursuing the Bachelor in Education. Currently he is a student leader and the Rehabilitation and Reintegration Officer ik Kikora Street children in Maralal. Joseph Kamau has been living and working in Maralal; with a Diploma in Community Development and Social Work from Mount Kenya University, he has a focus in helping the less fortunate members of the society. He had previously worked as a marketing officer at Mount Kenya University, at Maralal and Isiolo Virtual Learning Centre to ensure that people from Samburu County have access to quality education. He is currently working at ADI-Kenya as a Family Rehabilitation Officer in Kikora Street Children Project. 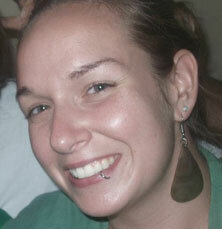 While originally from the United States, Nicole has been living and working in Kenya for the last three years. She holds a Bachelors of Social Work degree from Western New England University in Massachusetts, and a Masters of Social Work degree, with a focus on International Development, from Washington University in Saint Louis. She has experience working in a number of management capacities, including in non-profit organizations in the US, and most recently as the Project Coordinator at a local Samburu organization.